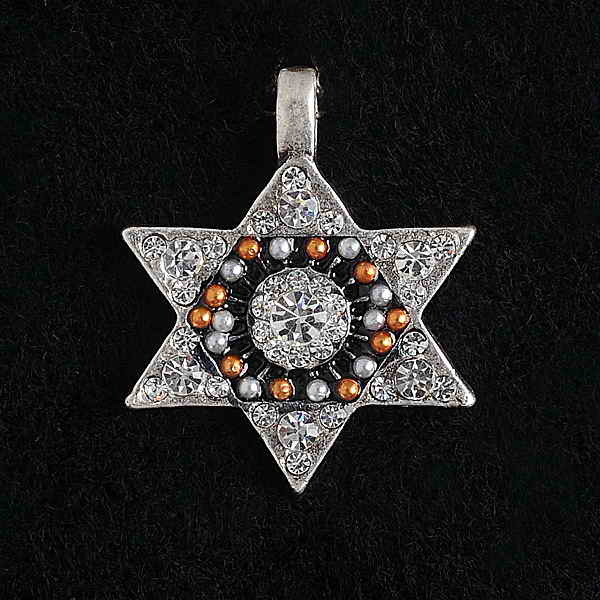 This Beautiful Jewish Star Pendant Is Made From Zinc Alloy, And Is Decorated With Stunning Accents. In The Very Center, And The Outside Points, Beautiful Clear Crystals Give This Pendant An Eye-Catching Appearance. In A Ring Around The Jewish Star's Center Are Beautiful White And Orange Orbs. This Gorgeous Star Of David Is 1.18" X 1.1" And Comes With A Link Chain.